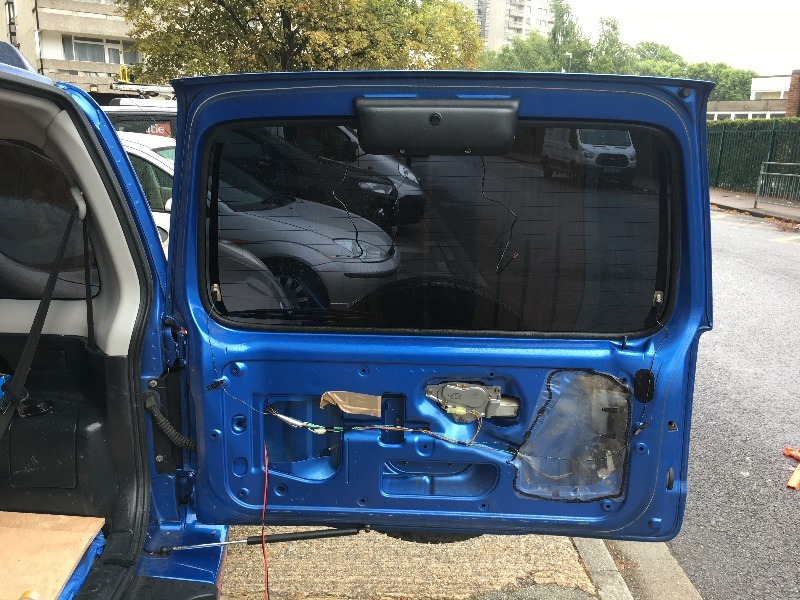 Thought it would be a good idea to get a thread started to not only get some advice but also share a journey and track the progress of my little Jimny. Hopefully something here will help others looking to do the same thing. Named Yoshi by my misses as its a little Japanese Jimny from 2003. Purchased in August last year, so coming up to 1 year of ownership. Drove up to Skipton, from Kent to collect where I traded in a Corsa Van and some cash to get the car. 63,125 miles on the clock at purchase and now at 83,300. Everything internally works, no issues there at all. There is the usual rust, which at times worries me a lot. Other times I think its all manageable. 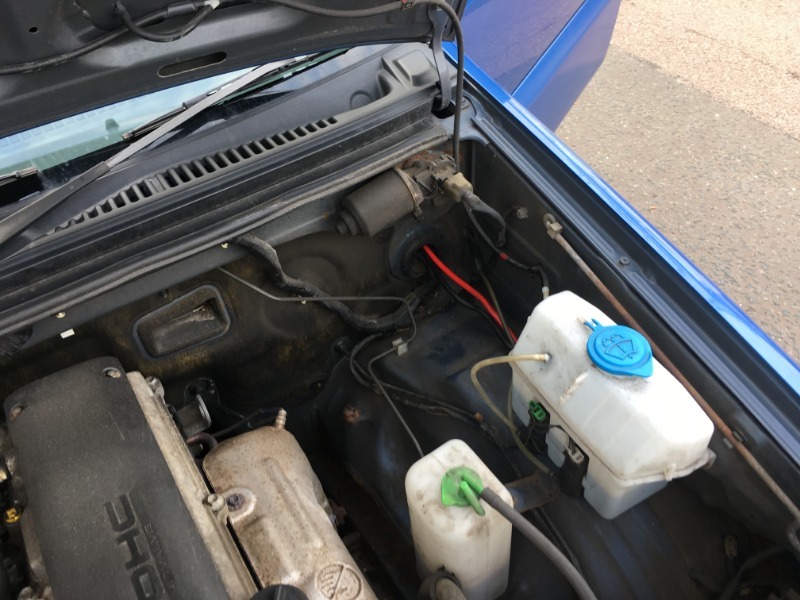 I dont have the space or tools to do any welding, and get the feeling I am going to have to take the car in to get some rust properly managed over the next 12 months. The reason I wanted a Jimny is that I love camping, and wanted a car that I could take and go anywhere with. I also wanted something that could be a little bit of a dog taxi when the time comes (look after a lot of friends dogs and will be getting my own at some point in the near future). A mud car as such. Something I didnt mind getting dirty, and stepping into with muddy boots from hiking in the rain ect. Something small and a challenge was also a must. In order to make this the perfect camping car, I had thought about roof top tents but don't really want to have to store a tent (don't have space anyway), so have decided to instead work on making it so that I can sleep in the car. 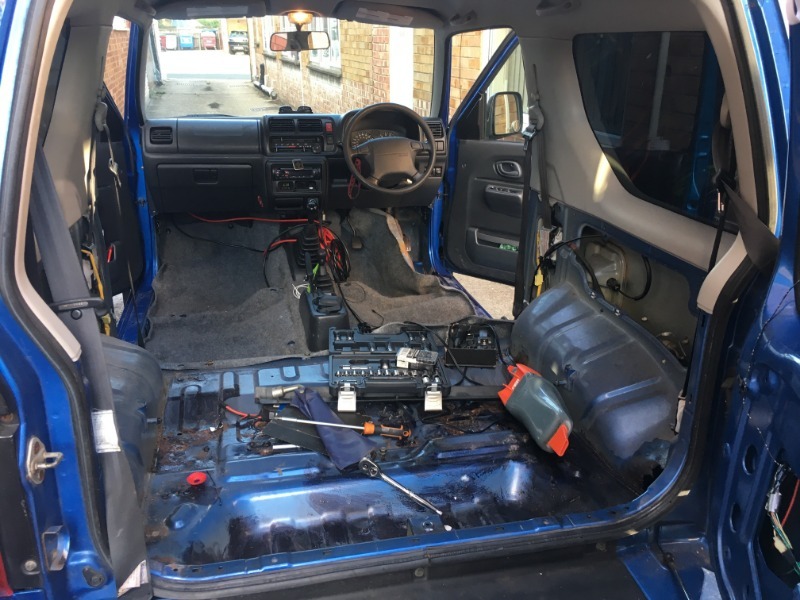 I have done a couple nights inside before when the rear seats were in. Other than the annoying back rest it was comfy. With the rear seats out and a way to level it all off it would be perfect for my use case. Full details will be posted later in this thread, as works get done. Last edit: 24 Jul 2018 13:28 by ChrisW. 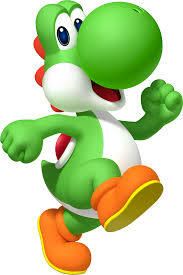 Welcome to the forum Chris... and Yoshi! Thanks for the welcomes guys. Today was a quick one, not a huge amount done. Waiting on the seats which I have scheduled to collect next weekend. After those are installed I can crack on with the rear box. Instead, spent the day working on something I have had the bits for for a while now. Just needed to make some progress. The whole electrical system for the camping setup still needs to be done. 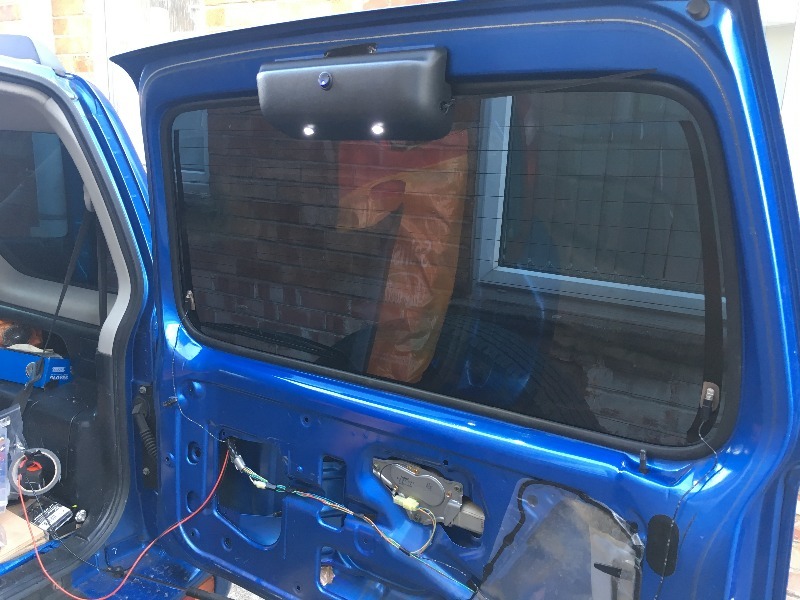 However, I could install the LED's for above the rear door and run the wires though the door. Annoyed that my crimps and connectors are all in the office, so cant complete the wiring until Monday. 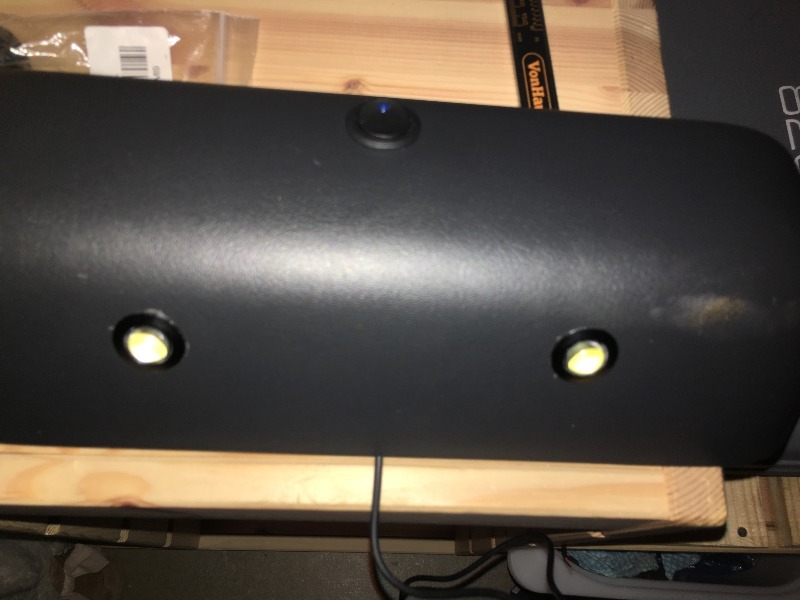 Removing the cover, and can see that the LEDs need to be low profile... sadly they are not THAT low. Hole drilled for the switch, and switch installed. 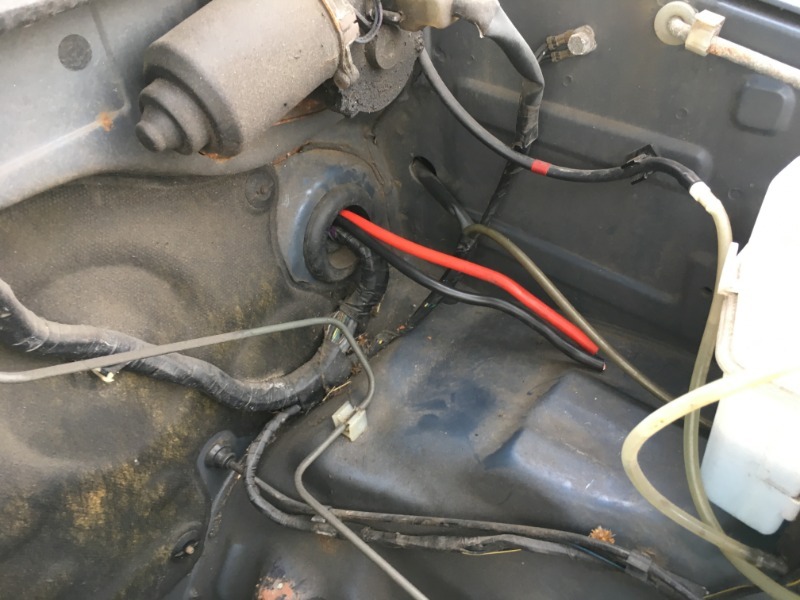 Wires run, and cover back in place. 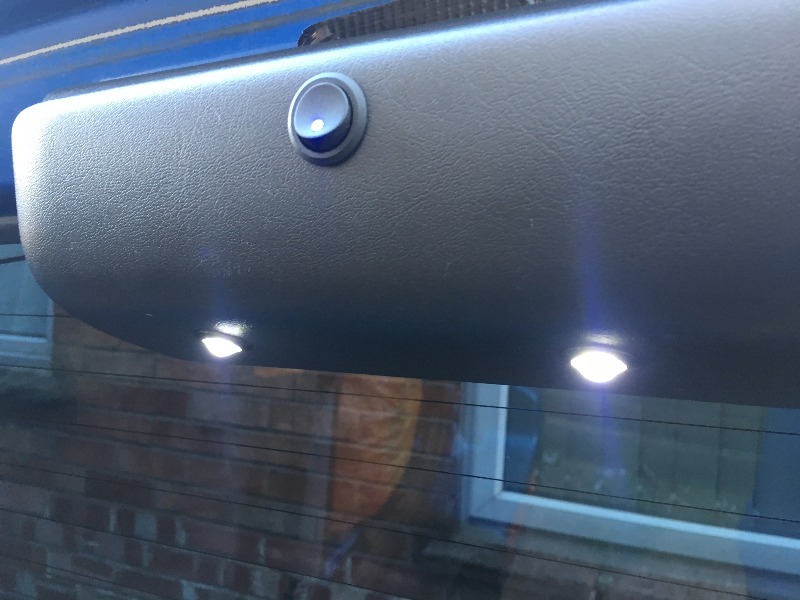 Since the LEDs are a little too high, as expected, they hit the bottom of the break lights. 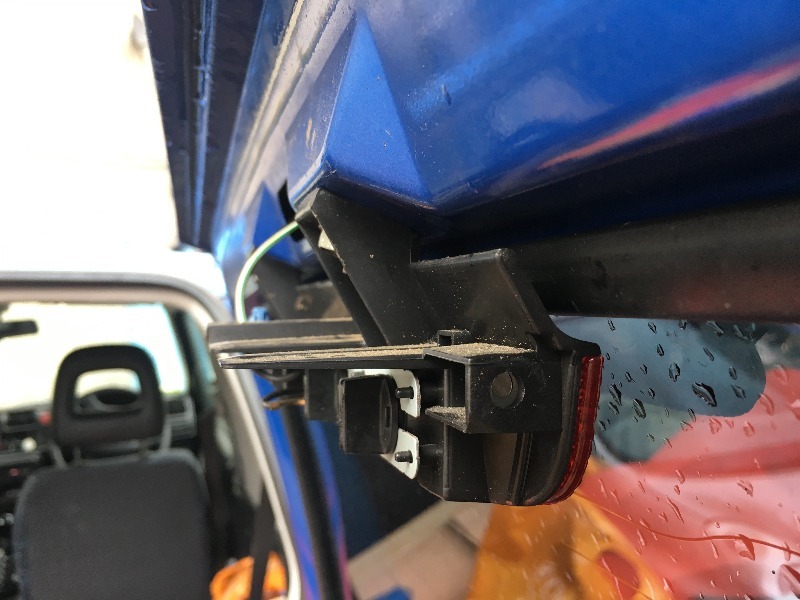 So a small bracket will need to be made to move the mounting point of the trim clips back around 10mm. Its that or cut the brake light which I would prefer not to do. I think I am going to replace the rear plastic panel with some black tread plate. Also need to replace the gas strut to be lightly longer. I want the door to open 90deg to the car. As a slide out table will run along in front of the door. Have to decide where the fuse box will be located. I am thinking inside the little cubby by the rear door. That way its hidden for the most part, but the fuses are accessible. Wiring up new bits will be a pain however as the side panel will need to be removed. Chances are, once I have the rear cabin LED's, cig lighters and USB ports in place I wont really need to add anything else. At least not to the rear section which this Fuse box will be responsible for. Just need to create the bracket for the plastic cover before I can close it up properly, so its held in place with cable ties. Its solid enough for road driving. 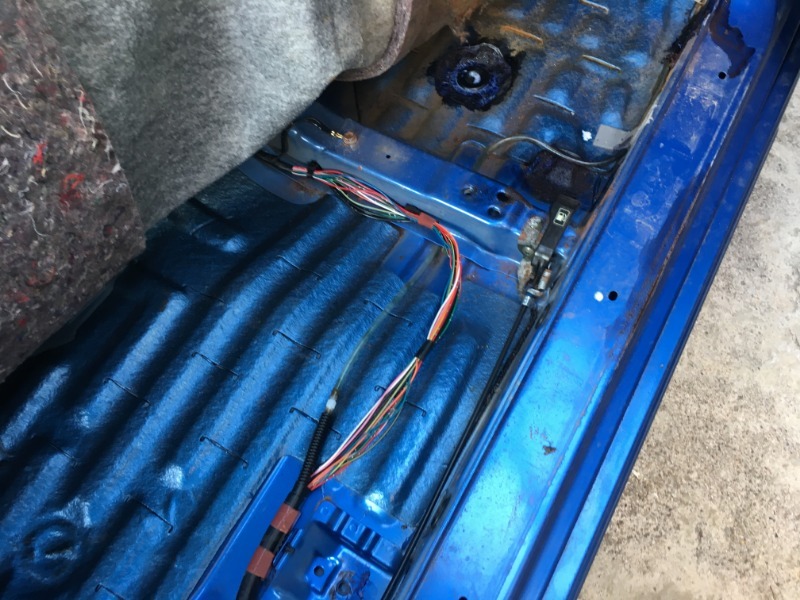 So during the course of last week I decided to rip some stuff out and get some wires run. I put up a post around the washer route as I wanted to follow the same path. Turns out there are 2 possible routes, and I have run the wires the opposite way. 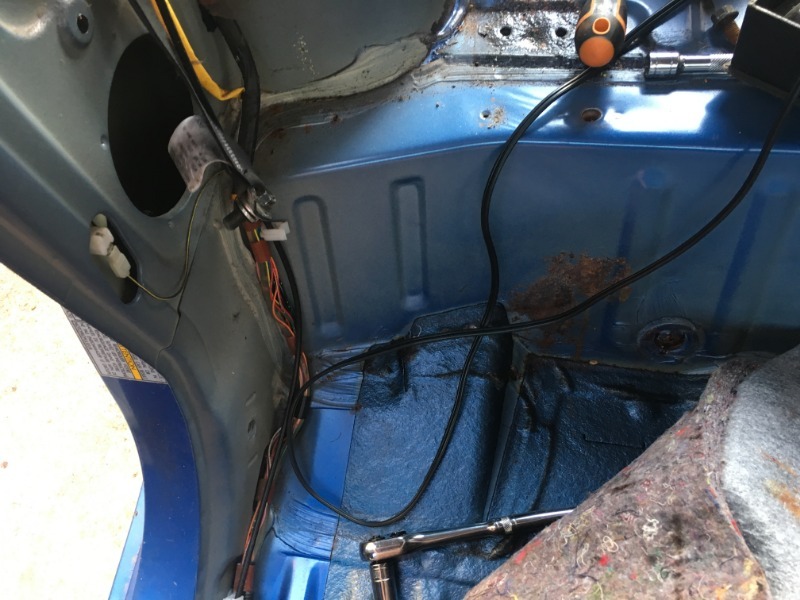 So through the grommet in the passenger foot well, towards the rear of the center console, and along the rear driver side into the back. To do this properly, and cleanly, the seats had to come out. During this process, the carpet was lifted in most places. Giving me a good look at the floor and all looked really good. 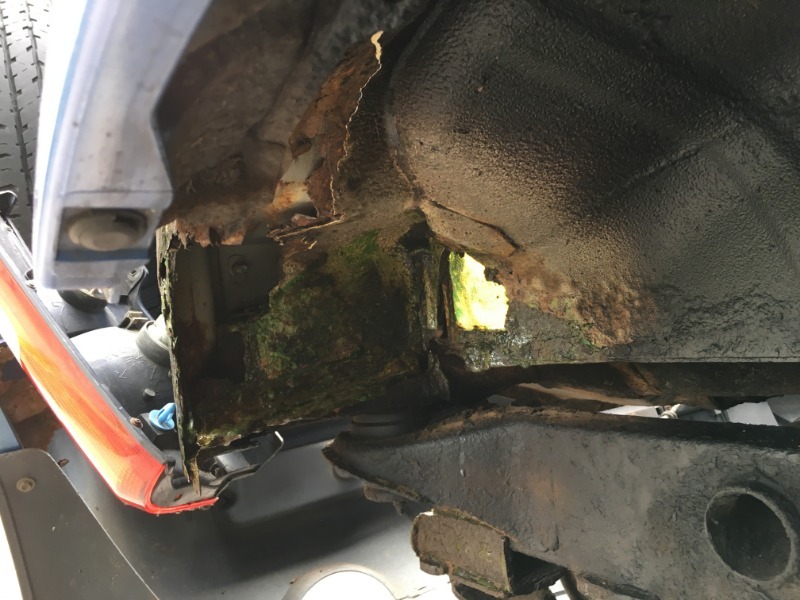 There is a drain grommet in the drivers foot well which had a little surface rust. This was brushed out and then some Krust rust converter was stuck in there to keep it good. And that was the end of the good news... weekend came and I went to repair a hole at the very back right corner. It is around 5cm across. With this being quite small, I decided to go with Kevlar (was recommended in place of fiber glass) since I don't have the tools or space to weld. 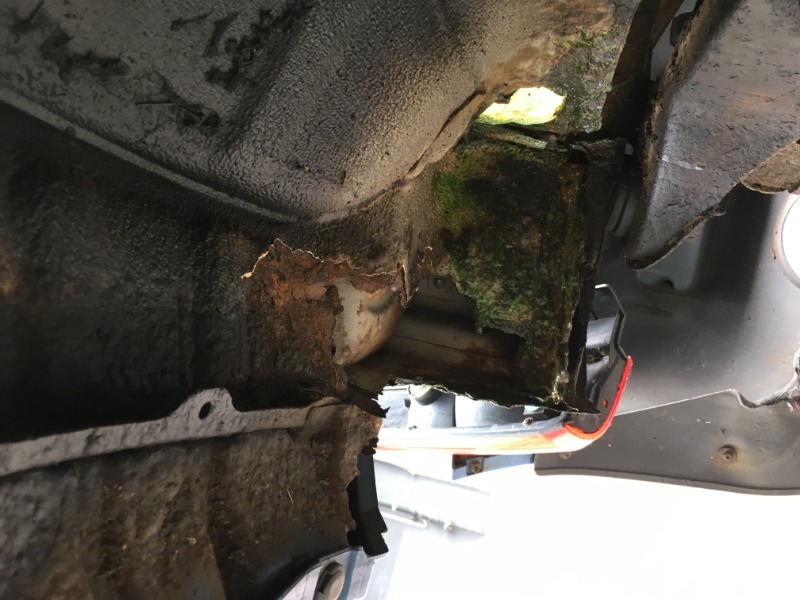 I decided to check the underside, in the pouring rain on Sunday I saw there was a decent sized hole that would need some attention... but was a bit beyond what I would be able to quickly patch. 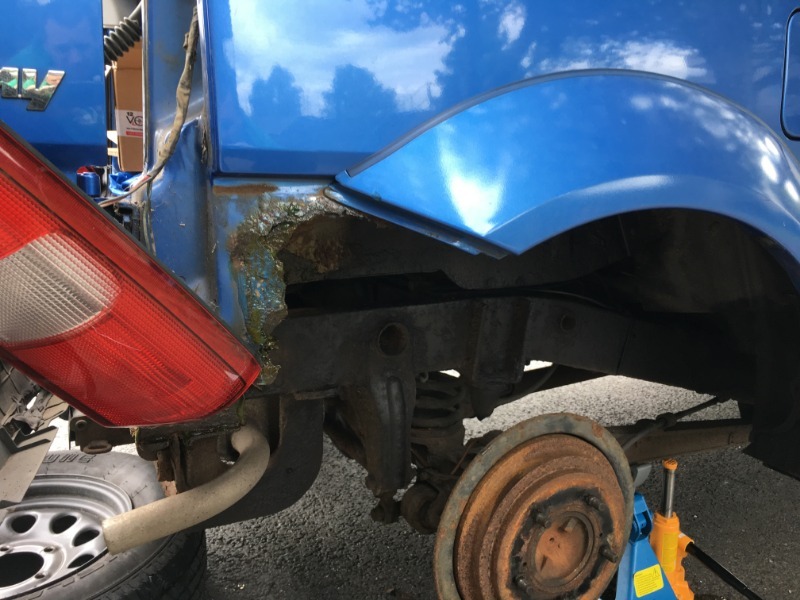 Roll on Monday and some dry weather and off came the rear bumper to get a proper look, and to say the least my heart sank. I knew the bumper mount on that side was gone, but didn't think it was as bad as it is. Well beyond what I can do myself. This next pic is side ways, but I dont really want to rotate it. I didn't take pics, but the bolts holding on the tow bar are rusted to dust as well. Its going to have to come off. I will have to get it off, clean it up, give it a good spray and reinstall it. 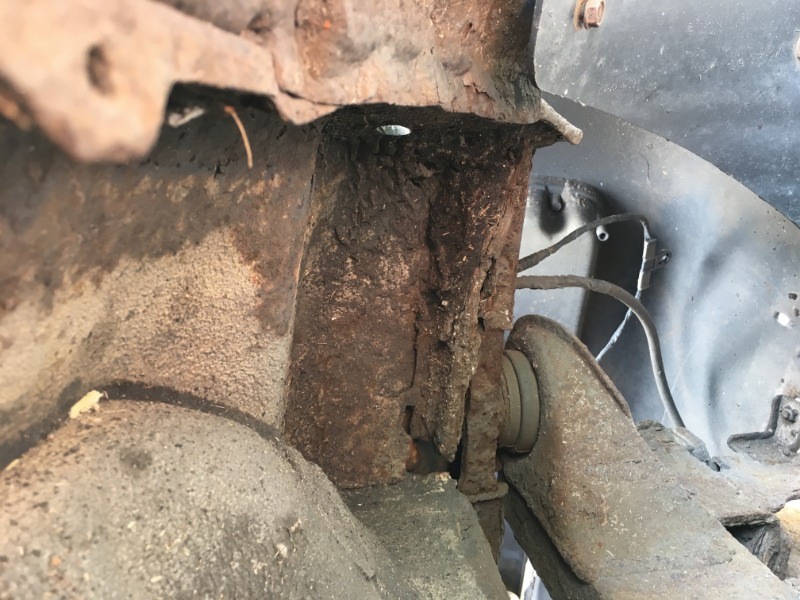 Also noted that the exhaust back box, where it joins with the rest of the exhaust has started rusting really bad as well... which is extra annoying as the back box is less than 4 months old!! What kind of drawer/slider system have you thought about? I mean size. And how do you intend to utilize them? I need to do a drawing of it, but havnt managed to get the new measurments. With the rear plastics in its 930mm wide by 800mm long. Height was going to be 150mm. The new measurements need to be taken as I have removed the rear plastics, then I can draw it out. What the end result will be is a flat bed between the two sides of the car. From as far back as I can go before the sides step in to as far forward as I can, whilst allowing the front seats to fold all the way flat. The height will be above the height of the folded flat seats. The end look will be similar to this, but not as padded. That's the idea of the shape. The box itself, will have a drawer on the door side that will form a "kitchen" table. That will slide out to the max length I can. Either this will be the distance from front to back of the box, or it will reach the end of the door. The door will need to open slightly wider than default to allow the drawer to be as close to flush as possible. The depth of this drawer will be as deep as I can with the shape of the rear door entry. 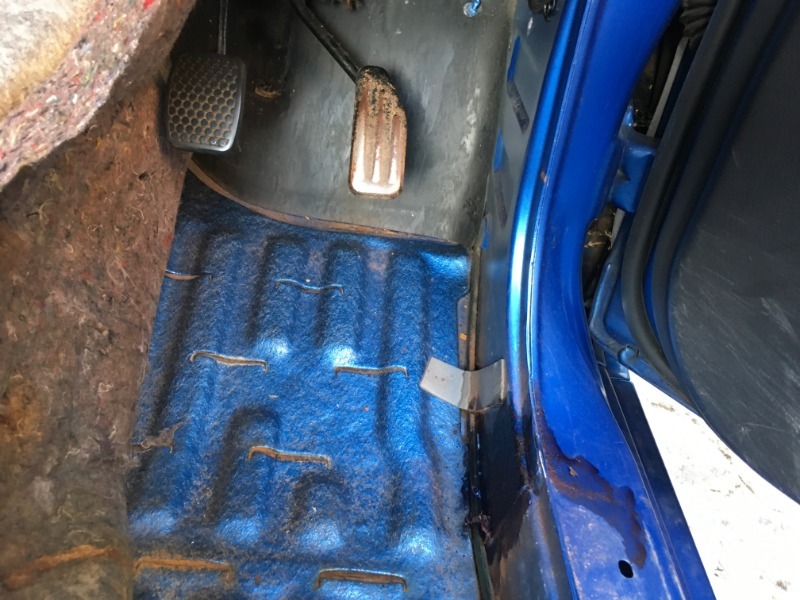 I will be replacing the rear door plastic with a sheet of aluminium tread plate to remove the wasted space, as well as allow the drawer to be supported by the rear door. The top of the box will be split into two lids that will lift up to the full length. 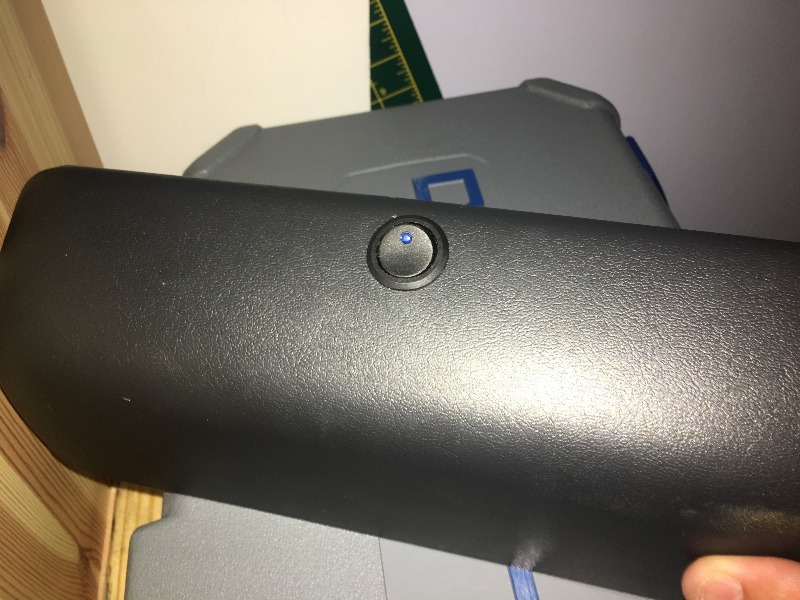 The side with the drawer will be designed such that if the drawer is closed, when you open the lid the drawer will lift up with it. When the drawer is out, the lid will just open. I have decided to go this route rather than 2 drawers as you will get more storage for a lot less weight. With regards to the use, it will form the basis of making a flat area filling the internals of the cab, as per the picture. This will be to allow me to sleep in the vehicle when camping. The underside will be the storage for all camping gear, sleeping bags, cooking gear along with food ect for a trip. The goal is to have everything packed and stored inside the box so that above it is empty on a camping trip. The cover for the front seats will be "dog door" that will fold forward over the flat seats. 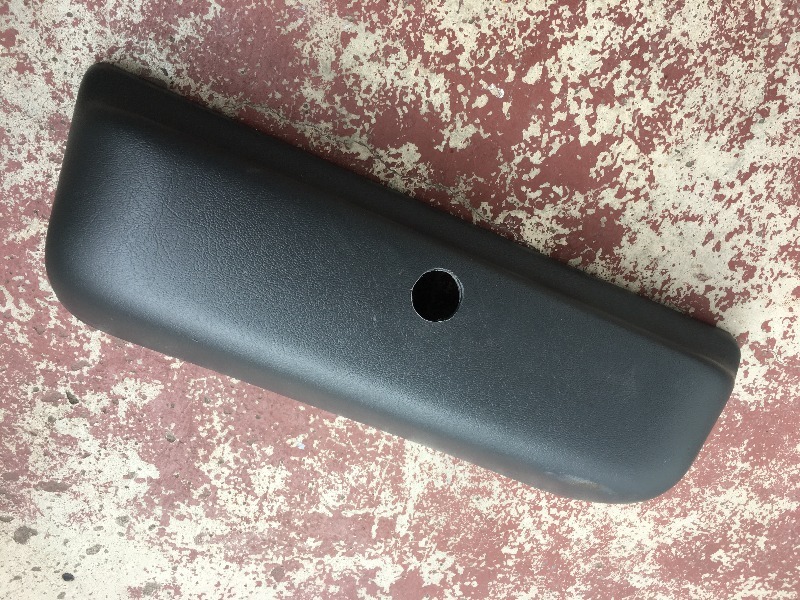 This will have a bracket made to fit behind the handles above the doors. The exact design of which needs to be sussed out as I think I want this to be able to fold forwards and backwards. Hope that all made sense. I will post up some drawings when I get over my rust induced sadness and start measuring it all up. Last edit: 28 Aug 2018 11:17 by ChrisW.